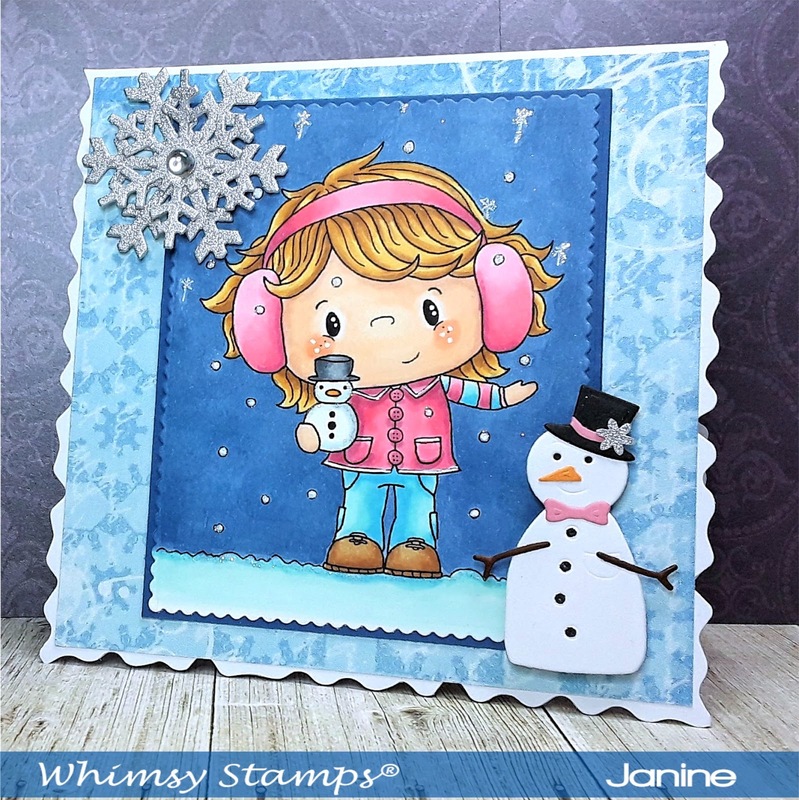 Today I'm sharing some November Whimsy Stamps inspiration with you. So for this month's card I've used a sweet little digi image called 'Snowy' and a beautiful digi paper is from a collection called 'Christmas Roses & Snowflakes'. Both the gorgeous little girl and the paper are part of this month's new release, and is available from the digital section. First I printed my 6" x 6" digital paper directly onto some smooth printer paper and trimmed it to size and attached it to my card front.. The digital image was resized and printed directly onto colouring cardstock, then coloured with Copic pens. I added a little sparkle of course...well it is a Christmas card. I mounted the finished image onto some dark blue card and added it to the card front. To finish my card I added a die cut snowflake and snowman. 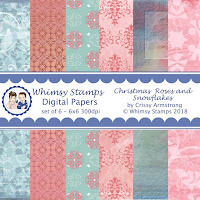 You can find more fabulous digital images and papers in the Whimsy Stamps store here. 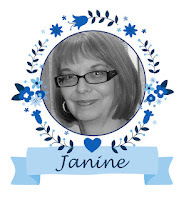 Don't forget to check out my fellow teamies tomorrow, and I'll see you next month.